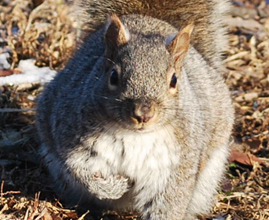 It doesn't matter where you live, city or suburb, from the Midwest to the East Coast, Canada to California, whether squirrels live in your neighborhood or not, you are encouraged to become a squirrel monitor. 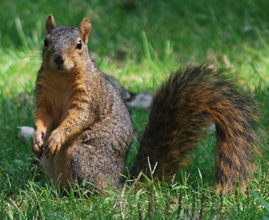 Click here to record your squirrel observations. Who: Anyone of any age can participate. Make it an office game or a classroom project, compare notes with friends in other states, get your family involved—everyone can observe nature.